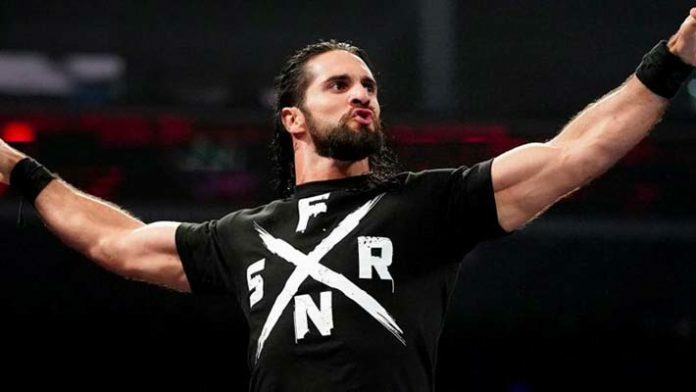 Former WWE Universal Champion Seth Rollins won’t be wrestling at live events leading up to WrestleMania 35. The Monday Night RAW star has been out of action since last month, which also saw him win the Men’s Royal Rumble Match that earned him the right to challenge WWE Universal Champion Brock Lesnar at WrestleMania in April. However, with Rollins rumored to be dealing with a bad back, WWE is taking some precautions when it comes to his health and will be limited as an in-ring competitor for a little while. By checking WWE’s official website, the company has decided to pull him from advertisements for all upcoming live events until the April 1st episode of RAW in Washington D.C.
It’s possible that WWE could always add him back to the schedule if he gets healthy enough to compete before then. He’s slated to make a public appearance from 6-8 p.m. on Friday, March 1 at the Detroit Autorama in the Cobo Center in Detroit, Michigan. It should be noted that it appears WWE will keep him in a non-contact role on television as they have announced that the former WWE Champion will be appearing on this Monday’s RAW to address Lesnar.